A few weeks back my brother, Todd and his husband, Greg (who is French!) came to visit. 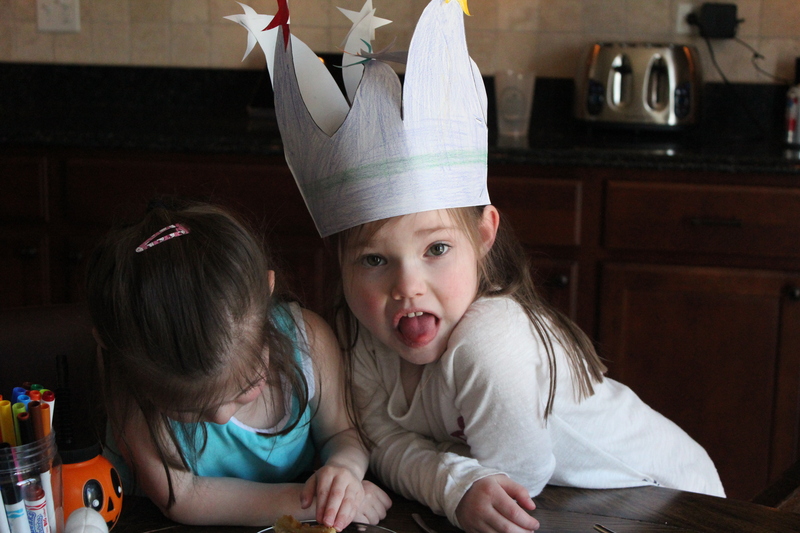 The girls had a great time wearing them out and decorating a crown in honor of the King Cake that Greg was about to prepare for us. 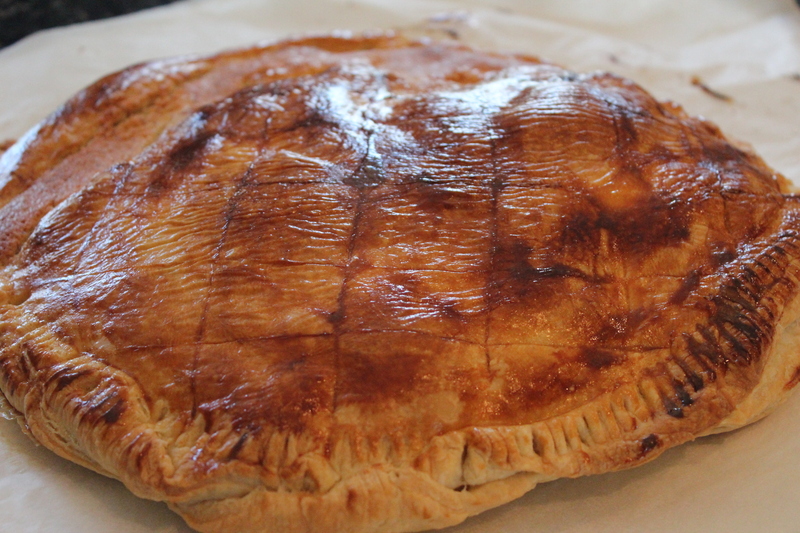 This is not your typical New Orleans style King Cake, mind you. 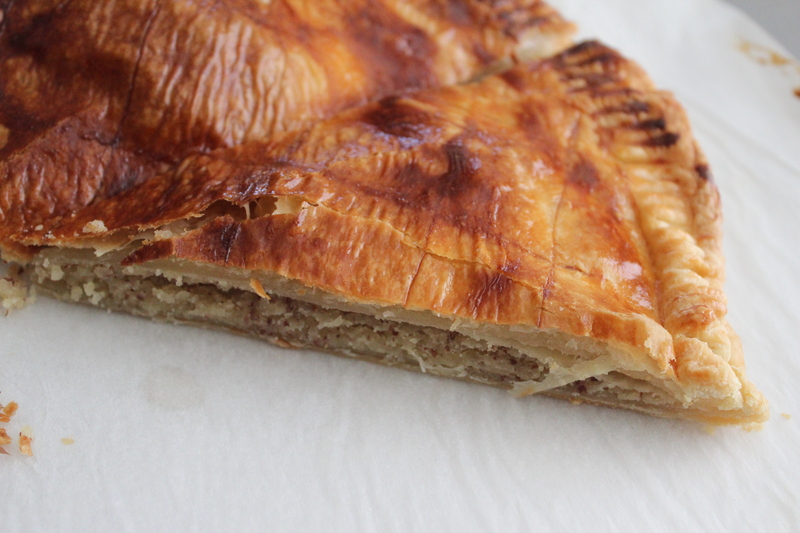 This is a light, flaky pastry with almond filling. One other thing to note is that it seemed relatively simple to make as I looked on. Here is the recipe. In a medium-sized bowl mix one egg with sugar and almond extract. Add the almond powder. 3. 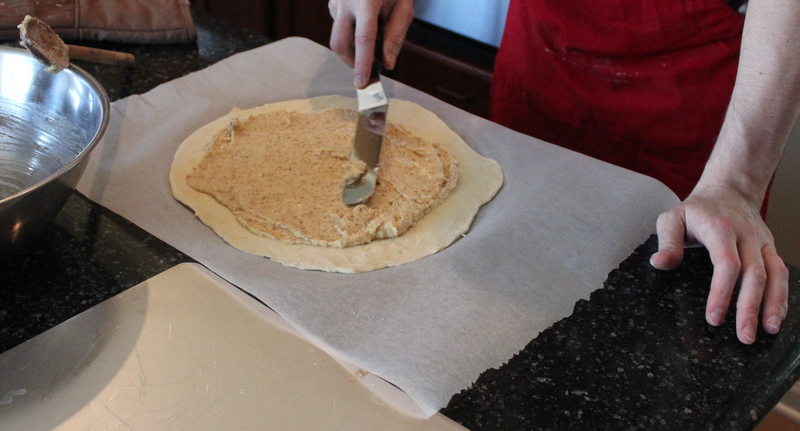 Place the first puff pastry on a sheet of parchment paper. The shape of the pastry must be circular so a large mixing bowl turned upside down and placed over the puff pastry works beautifully. Follow the outline of the bowl with a knife. Spread almond mixture over the puff pastry. 5. Take an object that is oven safe and place it near the outer edge. 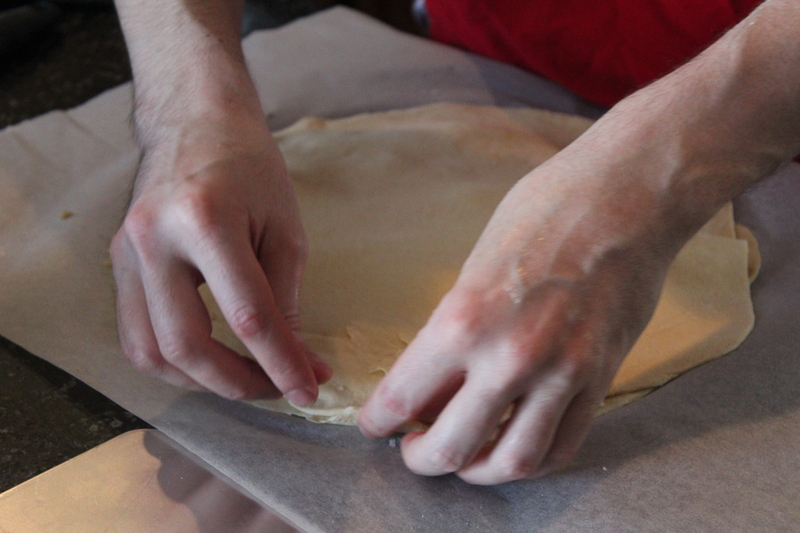 Prepare the second sheet puff pastry. Cut the top sheet to match the bottom, then place it over the first sheet. 6. 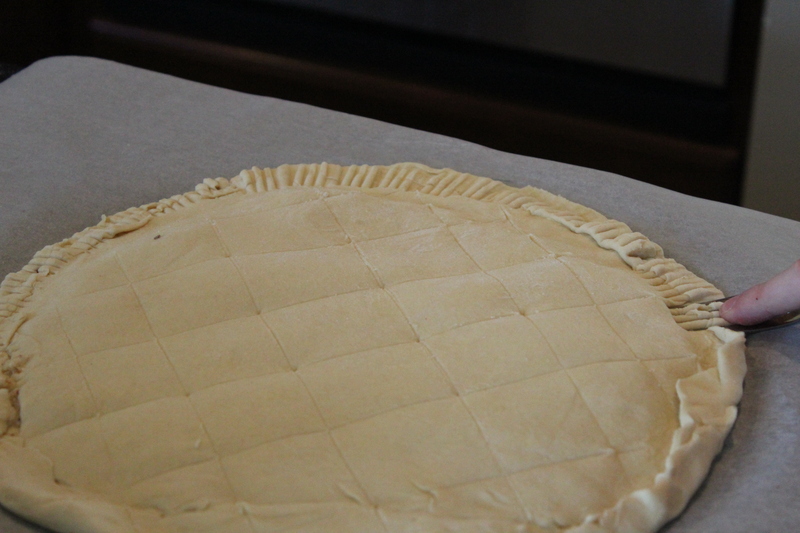 Press the edges together, then take a fork and press the tines around the perimeter of the circle. Cut a few slits in the top to allow air to escape. Greg scored a pretty square pattern on the top. 5. Using second egg, beat it in a bowl and use a pastry brush to cover the top of the cake. Bake for 30 minutes at 392 degrees. (converted from 200 degrees Celsius) Cake will be golden. 7. Allow cake to cool slightly. Cut into pie pieces and whoever gets the trinket hidden inside is the King for the day. This would taste great with a scoop of vanilla ice cream. Sydney found the trinket in her piece. (We actually just used a pie weight. 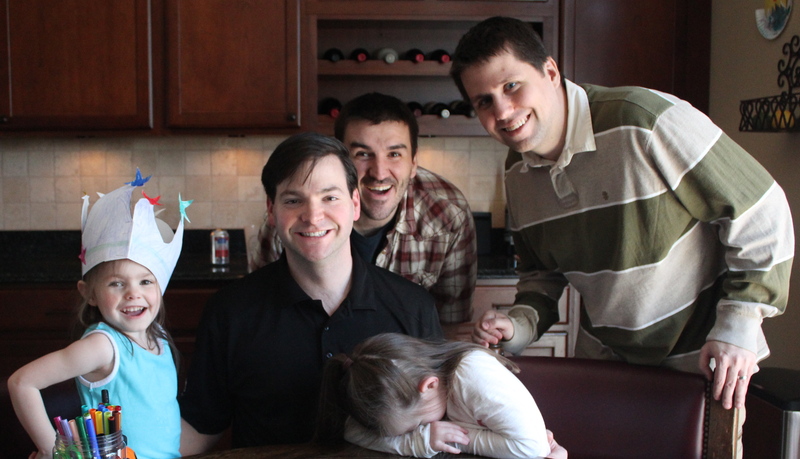 Boring) Olivia pouted for a minute… …until we switched and let her wear the crown. Sydney then pretended to pout. Give this a try for Father’s Day and let Dad be King. 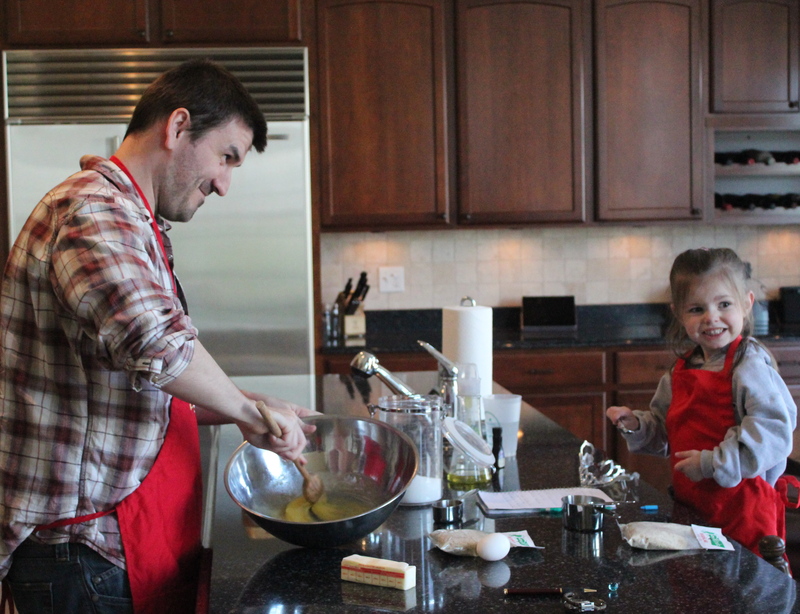 Thank you Greg for the first of many (I hope) lessons in French cooking. Sounds good, i shall try this. Nice pictures, thank you all.